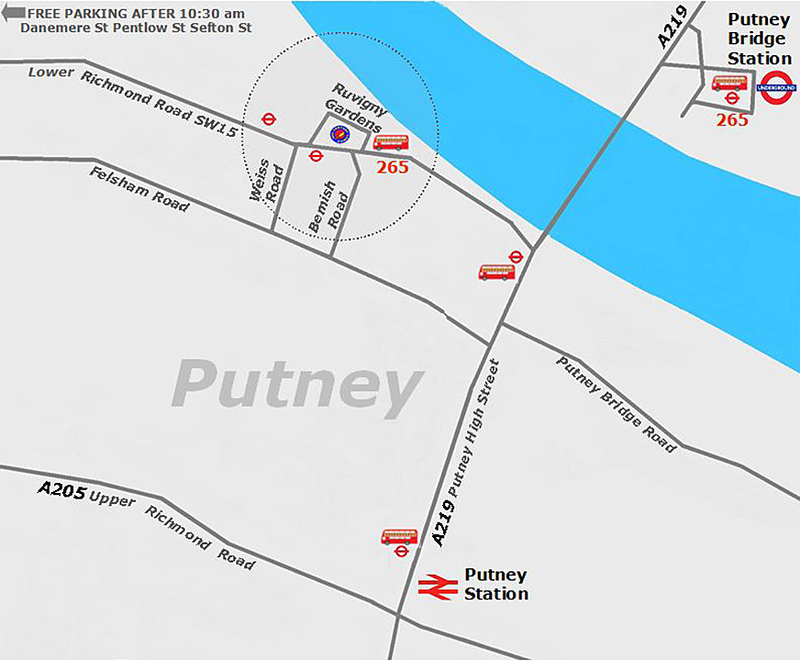 We are located at 18 Lower Richmond Road, Putney, London SW15 1JP (a couple of hundred yards from Putney Bridge). The nearest stations are Putney (BR) (approx 15 minutes from Waterloo), or Putney Bridge (Underground) District Line, Wimbledon Branch. We are approximately 8 minutes walk from either, situated between the Duke’s Head and Half Moon public houses. Buses 22, 265 and 485 pass our shop and stop a few yards away. There is ample parking (pay and display) nearby. Free parking (after 10:30 am) is available about 10 minutes walk away. Visit TfL for help with planning your journey to us. Use our Shop guide to help you find your way around the shop. We aim to answer all emails within 48 hours (90% will be replied to same day, other than Sundays). If you’re expecting an email from us and it doesn’t appear to arrive, please check your junk/spam folder in case it ends up there. If so, please mark us as a ‘safe sender’ on your system to prevent this happening again.